There’s something about encircling an object with beads that makes my heart smile. 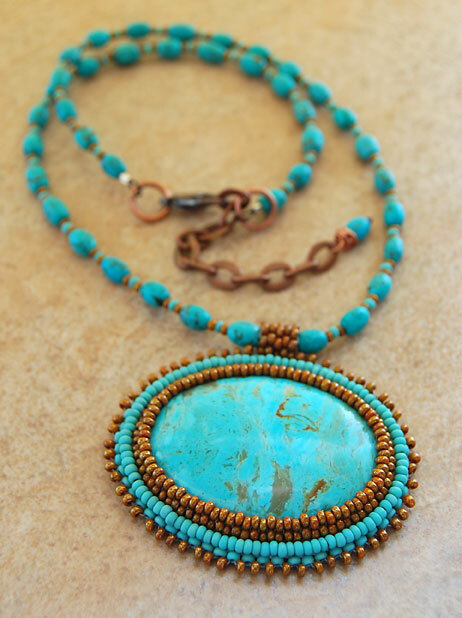 Here, let me hug you with beads, beautiful piece of turquoise. 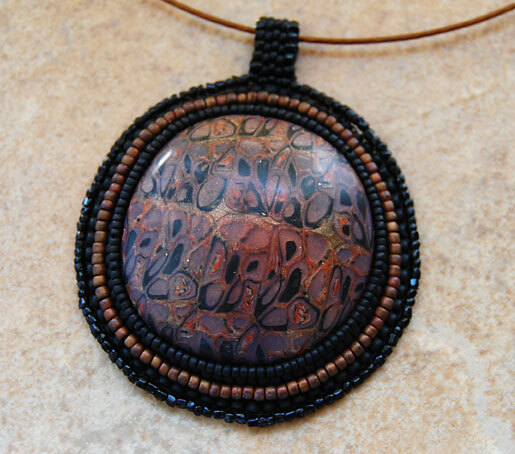 And you, fun piece of extruded scrap clay cabochon. In my early days of making jewelry, I used to get so involved in a piece to the point of making it much more complex than I actually wanted it to be. I didn’t know when to stop. These days, almost 20 years later, I’m much more into simplicity and creating a piece I can wear everyday. 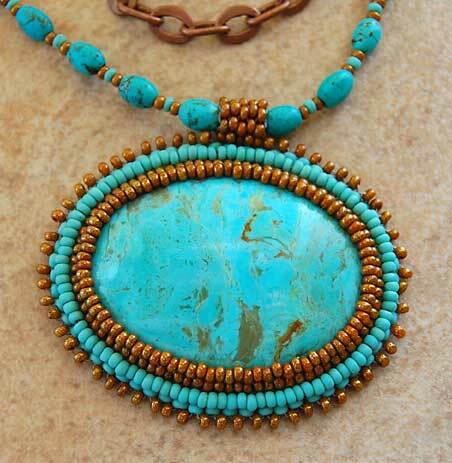 A bead hug placed on a cable choker or a simple strand of beads that will enhance and not compete with the pendant. Tomorrow I’m attending my monthly guild meeting so my Saturday Morning Tea will be on Sunday this week.